Baby Zara has always been my go to shop for Max’s clothes. I’ve always been impressed with the style, quality and affordability of their collections. As soon as there’s new pieces, I’m all up in Zara ready to shop till I drop! First up are these adorable checkered harem style trousers which are actually from Zara’s Mini collection. Pair these trousers with a cute basic tee and you have a gorgeous simple on trend outfit. With it being Christmas soon, what better way to kick off the festive season with a chunky knitted Christmas jumper. I could do with this cute reminder one myself! I remember as a little girl having a cute duffle coat just like this one. From the cute toggles to the checkered lining, this coat will forever be a staple item for your baby. Since the weather has turned from hot to absolutely freezing I’ve noticed Maxi’s hands are cold when we’re out and about. These cable knit mittens are to die for! I mean who doesn’t love to keep toasty in cable knits?! Max has a few of these basic tees in different colours. There perfect to just throw on to complete any outfit and at £4.99 there an absolute steal. I have a very similar jacket from the women’s section in Zara, so of course Max should have one to match his mumma. The sheep skin detail around/in the hood and bright colour makes the perfect combo to brighten up a dull Winters day. Checkered shirts will always be on trend, I must own about 6 of them. So it’s only fitting my baby should own a couple too. I love the red and blue colour along with the double pocket detail. I also find with Zara checkered shirts the quality of fabric used is nice soft and also thick to keep Maxi warm. Last but not least are these crossed patterned leggings. Maxi must own about 50 pairs of Zara leggings (no joke). The quality, styles and fit make Zara leggings honestly the best. I’ve tried to venture out to other brands for leggings but in my opinion, they just don’t match up. I have this particular pair on my wishlist because grey and black pretty much go with everything, so it’ll be easier for me to coordinate outfits. What do you think about my Zara Baby picks? 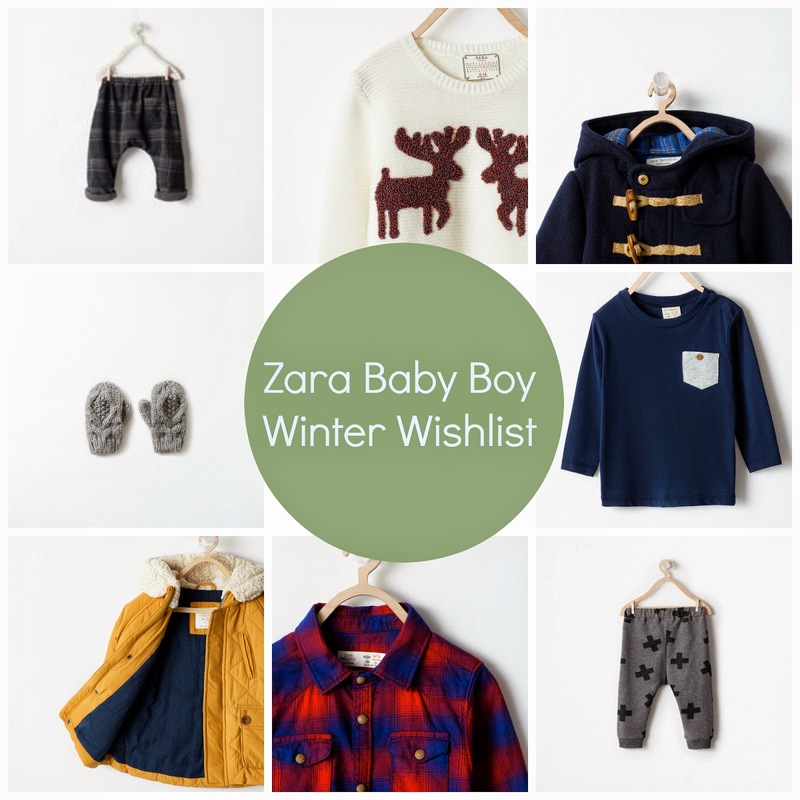 What’s on your Zara Baby wishlist? Next Post MY FIRST YOUTUBE VIDEO!